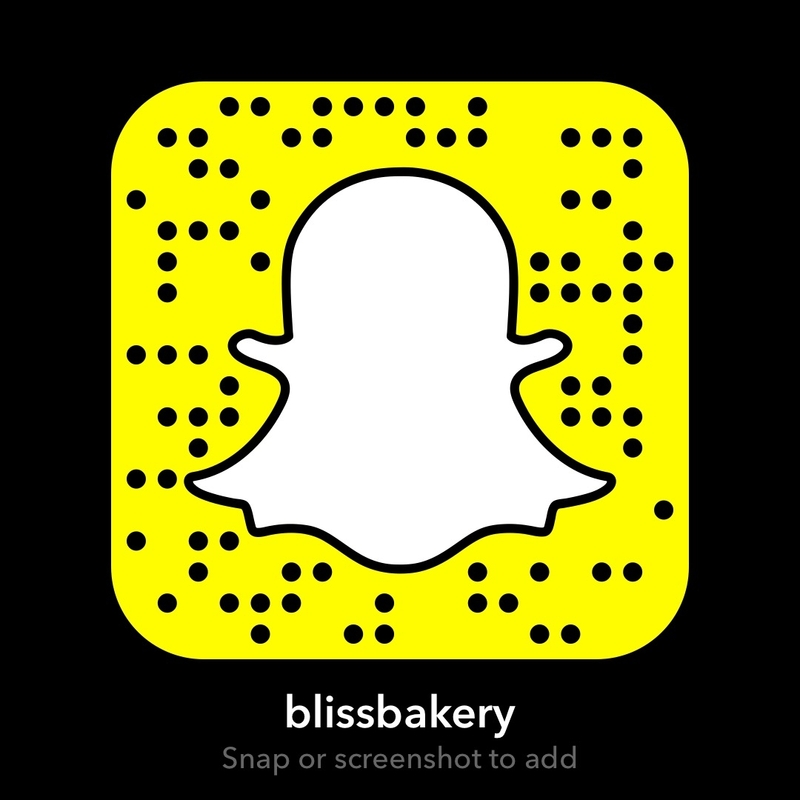 For those of you not on Snapchat (yet) on here I share my “love story” as I call it, of this gorgeous gourmet gal. And highlight the recipe for her delicious treat that I make for the tutorial. 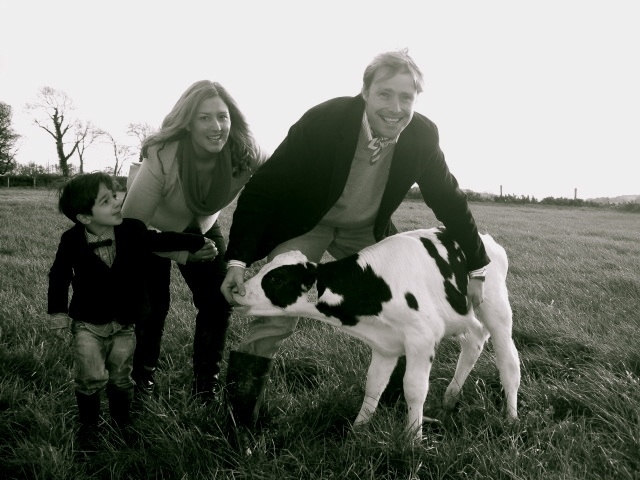 Today our fantastic female is straight from a farm in Ireland. 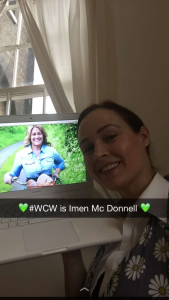 Imen McDonnell is known around the globe as the American lady whose heart was swept away by an Irish farmer. His gain was also our gain. Imen took to country life and used the experience as an outlet for her creativity. Writing a famous blog called Farmette, raising a handsome son and doing loads of cooking and baking along the way. I had the most amazing fortune to actually meet her yesterday! Her first book has just been published and she is on the road promoting it. Luckily one of the stops on her tour was London. 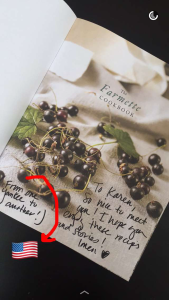 So I headed down to the Violet Bakery (where I went just a couple of weeks ago for a Foodie Fieldtrip Friday) and purchased a book, had it personalized by Imen, and most of all got to have a wee chat! She was surrounded by adoring fans, but took time to have a personalized conversation with each one of us. She is absolutely stunning and yet so warm and approachable. 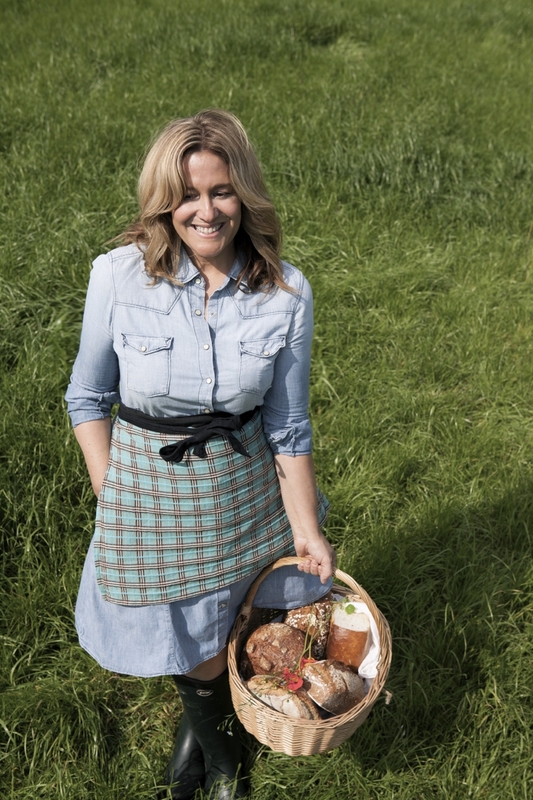 She was wearing her signature apron and with her thick blond curls and flawless skin, she looks like she stepped out of an ad for Town and Country. But when you talk to her, the calm and approachable manner that shines through in her writing was what you felt. I’m only new to social media and have been following along on her gorgeous Instagram and Twitter accounts. She is very active and supportive of other foodies and important food issues. Especially as it relates to Irish agriculture specifically and farming in general. 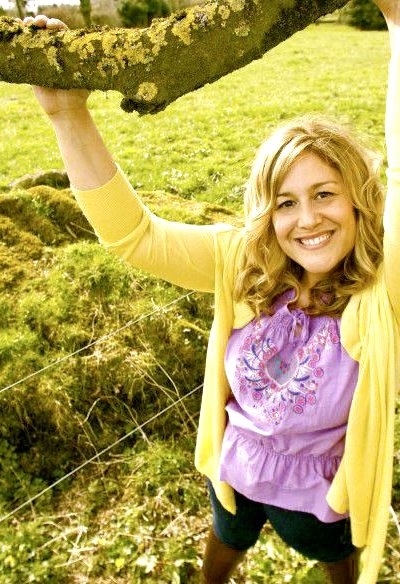 Her support of Irish food led her to produce an amazing film called Small Green Fields. 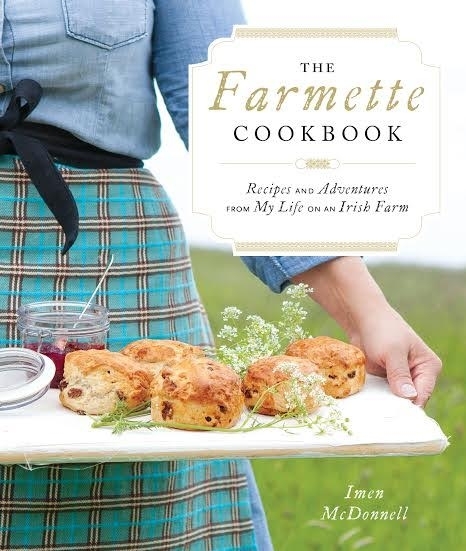 It is an ode to Irish artisan foodie products and will likely leave you with a tear or two as it is so poignant and precious. I have been an admirer for quite some time of that treasured blog of hers. Classic, timeless recipes and photos that are effortlessly styled, all of which she does on her own. This woman’s talents know no bounds! The book has so many fabulous recipes I’d like to try, but thought a nice loaf of Irish bread would be perfect. So let’s give the Irish Stout and Treacle Loaf a go shall we? Preheat the oven to 400 F/200C. 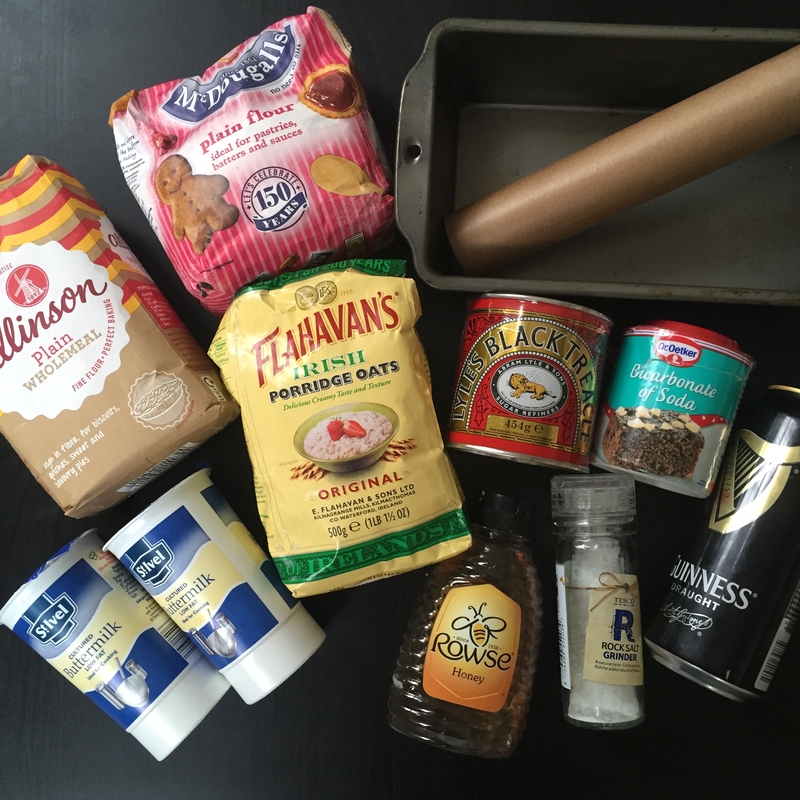 Line a 9-inch loaf pan with parchment paper. Spoon into the loaf pan, and slit the top of the dough with a knife. Sprinkle with rolled oats (if using) Bake for 45-50 minutes. Remove the pan from the oven. Turn the bread out, transfer to a wire rack, and lay a slightly damp tea towel over the top; leave to cool completely. The tea towel will help keep the moisture in and the crust from becoming too hard. Let’s just say that I could have eaten this entire loaf! I was good, however, and only ate a slice off the end (slathered in Irish butter no less). But it is absolutely divine! The treacle and honey add the perfect sweet combo, and the color and flavor reflect the Guinness richness. 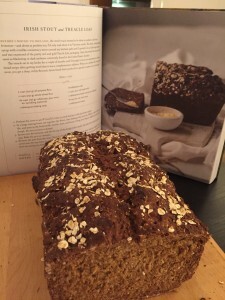 I read in the book that this bread makes for a lovely cheese toastie! Of course not just any kind of cheese toastie. Imen makes hers with some Gruyere and sliced apple. Mmmm, I’d be having that too please! It was a lovely day to spend focused on the food, ethos and effervescence of the amazing Imen. I felt like I was on the farm with her baking away singing some Country Western tunes (though I’m very bad at the signing part). As I look through the book in the days ahead I will treasure it even more now. Because there is a lovely handwritten note about our joint American birthplace. And though neither of us lives there anymore, it is another way to find common ground. Thanks Imen for your inspiration. Thanks to the farmer who stole your heart. And best wishes to both of you and your son on everything. You’re a most deserving family!